Five Rules for permanent weight loss, improved energy, and optimum health! The Leptin Diet explains how to unleash the power of hormones to resolve fatigue, food cravings, thyroid problems, and body weight issues. Mastering the fat hormone leptin is the single most important factor in preventing obesity, diabetes, and heart disease. Break free from food obsession, learn the five simple rules for healthy weight management, and take charge of your health! This is a must read book for anyone who wants to lose weight, maintain a healthy weight, or simply improve health! The Leptin Diet gives you the understanding and tools to healthily lose weight and keep it off. It is not a deprivation diet. It explains 5 simple lifestyle guidelines that will allow you to increase energy, boost metabolism, and lose weight once and for all! Fat cells produce the powerful hormone leptin, a primary force instructing metabolism, weight management, and hormone balance. Leptin communicates directly to your brain, telling the brain how much fat is in storage. It controls appetite, energy, and metabolic rate. Leptin problems are the primary reason for food cravings, overeating, faulty metabolism, the obsession with food, and heart disease. The Leptin Diet contains easy lifestyle guidelines to get the hormone leptin into balance for permanent weight management, increased energy, and optimum health. Feel the difference! Byron J. Richards, clinical nutritionist and nationally-renowned health expert, is the leading authority on leptin. In 2002 he authored the breakthrough book, Mastering Leptin, the first book to explain the hormone leptin to the public. He now brings us The Leptin Diet, a valuable guide for anyone looking for weight management, weight maintenance, and energetic vitality! Health Speaker - Richards presented hundreds of educational classes to health professionals and individuals who want to take charge of their health! Richards is the founder and director of Wellness Resources, Inc., and has over twenty years of experience in the field of nutrition. He has been a member of the International and American Associations of Clinical Nutritionists (IAACN) since 1991. Richards has also presented on current and key health topics at hundreds of education and scientific-based classes to both health professionals and individuals. He has been a consultant on Leptin for Fox News Live, CBS Infinity television (national syndication), and The Wall Street Journal. Richards also participated in a number of radio shows including WCCO and KFAI in the Minneapolis area, KTSA in San Antonio, and KNST in Tucson. Entering the 21st Century America finds itself with a new problem, an obesity epidemic. The cause of this epidemic is multifaceted: personal choices, quality of food, hormone-disrupting chemicals polluting the environment, stress, and a lack of activity. The result of the epidemic is poorly functioning thyroid, stress intolerance, fatigue, depression, fibromyalgia, cognitive decline, diabetes, many forms of cancer, and heart disease. Navigating the pitfalls of life, staying out of the greedy clutches of Big Pharma, and remaining healthy requires considerable expertise. The problem is that our bodies came without an owner's manual. We are left on our own, working by trial and error, to eat in a way that boosts our energy. All too often we get it wrong, and the very food that is vital for survival turns into excess fat that sends us on a path headed for disease. 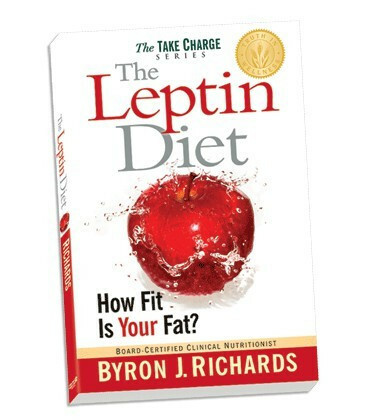 The Leptin Diet, by Byron J. Richards, is far more than a diet; it is a way of life. It is the first book on health that explains the owner's manual as to how your body functions, why you crave various foods, and how to get more energy by eating less food. Central to understanding your needs is learning about the powerful hormone leptin, the "king of hormones." Byron Richards is our nation's foremost nutritional expert on leptin. He has appeared on hundreds of radio programs around the country. He has been interviewed on Fox News Live, CBS syndicated news, and written about in the Wall Street Journal. He has the uncanny ability to translate complicated science into simple everyday language. As a clinician with over twenty years experience on the front lines of clinical nutrition, he also has his eye on the practical. He explains your symptoms and behavior so well you are almost certain he has been living at your house. His writing style is refreshing, seeking to appease no one, he simply tells it like it is. Especially provocative is his disdain for snacking. Richards explains how snacking disrupts the hormone leptin and causes major energetic problems, including overeating at subsequent meals. His advice runs contrary to almost every diet pundit on earth, yet it is obviously rooted in the most basic common sense. He lays out the case for his Five Rules that comprise The Leptin Diet with flawless logic and an easy to understand presentation of how food works in your body. He then ties in the findings of over 11,000 scientific studies relating to leptin. Key references are provided in an appendix. The Leptin Diet will open your eyes and show you a clear path to health that is easy to follow. Richards was the first nutritionist to write about leptin. In 2002, he and his wife Mary wrote the first book on leptin called Mastering Leptin. This was the first time leptin had ever been explained to the general public as well as to the entire professional field of alternative health. Prior to his writing, leptin research was conducted for the purpose of developing drugs, which to this day do not work. Richards went through all of this research, unraveling the complexity of leptin function and translating the key parts of the information into dietary principles. Not only did he introduce the Five Rules of The Leptin Diet, he was the first to explain the precise mechanisms behind how leptin problems cause cancer, fibromyalgia, thyroid problems, heart disease, and of course - obesity. When Mastering Leptin was written, it was from the perspective of new discovery. It was the first time a diet had ever been founded on solid cutting-edge science. Many thousands of readers have benefited by reading Mastering Leptin and implementing his dietary guidelines. The gratifying stories of weight management and improved heath, including the frequent reversal of Type II Diabetes, are the norm. Along with great success came countless questions as to the nuances of leptin. Could the Five Rules be tweaked in some way and yet still maintain the principles of the Leptin Diet? Richards analyzed all of these questions, looking for common threads. He also continued his work as a clinician, keeping his fingers on the pulse of "the real world." He realized that what the general public now needed was a "how to" manual. Most of the questions asked were simply because people did not understand the underlying principles of how their bodies work. 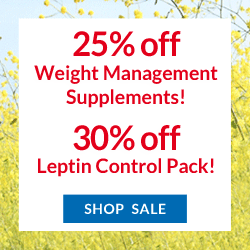 How does leptin work in response to your common day-to-day experiences? What happens to leptin under stress? Is a craving good or bad? Why is your mind always on food? Why can't you lose the weight around your midsection? What does menopause have to do with it? Why did pregnancy change your metabolism? Is the risk for obesity inherited? These, and many other questions, are answered in The Leptin Diet. Richards starts at the beginning by explaining how leptin aids the survival of the human race. Indeed, leptin enables us to withstand starvation. Without leptin, we would have all perished long ago. He then goes on to explain how leptin is in charge of the hormonal management team. We learn how the "hormone switches" that are thrown as we eat are every bit as important, if not more important, than the number of calories eaten. And most importantly, we learn how leptin problems are the primary cause of obesity and heart disease. Amazingly, it becomes clear how to eat less food and have more energy. Going through life without an owner's manual is like paddling a canoe upstream. Sure, it can be done, but it's not the easiest way to do it. The Leptin Diet is not a fad diet. It is a way of eating based on the science of leptin. It is easy to eat this way for the rest of your life, no deprivation is involved. Once you tame leptin, your abnormal cravings for food disappear and you regain control over your life and health. The Leptin Diet offers a true path to escape the obesity epidemic. "After having read Byron J. Richards's recommendations my daughter and I started to apply them right away. Two years ago, shortly before my daughter's 18th birthday, we were both diagnosed with prediabetes and I additionally with high cholesterol and hypertension and given 1000 mg metformin/glucophage twice a day. As we did not want to rely on medication we both went on a almost no-carb-diet. A year later we both had lost a lot of weight and gotten rid of all medications, but then, after about one and a half years of no-carb, the weight started to creep up again, even 'though we were still adhering to these stringent rules, living almost exclusively on protein and having about 5 meals per day. Moreover, we felt totally drained of energy, which was worse than regaining the weight. So far we are losing weight very slowly, promising but not spectacular, but there are no mood swings, no signs of hypoglycimia, my daughter's acne is clearing up, and most importantly, we are full of energy again and our quality of life has improved tremendously. We live in Europe. Low- or no-carb is still considered exotic here and you really stick out not eating this or that at friends' homes or when ordering in a restaurant. Now we can just share what everyone else is having as long as we apply the simple rules outlined in this book. "The Leptin Diet: How Fit Is Your Fat" does an excellent job in outlining the main principles. However, if you want to know more you should also read "Mastering Leptin: The Leptin Diet, Solving Obestity and Preventing Disease" by the same author, which I found extremely informative, a must have, about hormonal balance and metabolism. I recommend the first book to everyone, who wants to get a quick start and the second one to those, who are not only trying to lose some pounds, but also knowingly improve their health." "The Leptin Diet is the only diet that has ever worked for me. I spent 20 years trying to figure out why counting calories and exercise weren't working. I read The Leptin Diet book. It's great! It's very concise and a quick read. I finally lost the weight and have kept it off. The Leptin Control Pack® was also really helpful. I tell everyone I know that is struggling with weight about The Leptin Diet. Thank you for the great information! " "The Leptin Diet book can literally be branded: The Owners Manual to Healthy Nourishment Consumption for the Human Body! Byron Richards introduced me to the hormone leptin and discussed the metabolic processes of the body in laymen's terms. I easily understood what I need to do to help my body to function properly and lose the weight that I've always wanted to. I really appreciated that he also explained it physiologically, so that I also understood why it makes sense. I'm so glad to finally have answers to the questions I've had my whole life about weight management!" Chapter 9 - Were You Born to Be Fat? Chapter 10 - How Fit Is Your Fat?